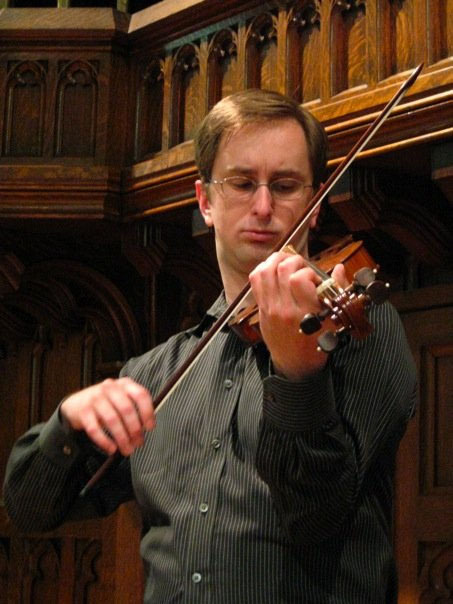 David McCormick performs regularly on both violin and vielle (medieval fiddle) and is in demand as an educator and arts leader. He was founding Artistic Director of Charlottesville-based baroque ensemble Three Notch’d Road and is a founding member of Alkemie, a medieval ensemble based in New York City. He is the founding Artistic Director of Early Music Access Project, a rotating group of musicians bringing a wide range of early music to Charlottesville and surrounding communities. David is also Executive Director of the Shenandoah Valley Bach Festival, where he recently appeared as featured violin soloist for the opening concert of the 25th Anniversary Season. David has also recently performed with Washington Bach Consort, Opera Lafayette, and as featured guest artist for the Bach-Handel Festival at Shenandoah University. David served for two years as President of the Charlottesville Music Teachers Association. He teaches private violin and viola lessons and offers workshops for educators, students, and performers in early music performance practice. His degrees in music education and performance from Shenandoah University and Case Western Reserve University include specialized training in chamber music and historical performance. He is a 2017 recipient of Shenandoah Conservatory’s Rising Stars Alumni Award.